Tortoiseshell spectacle case with gold pique work. Spectacles are believed to have been invented in their early forms as early as the thirteenth century in Italy. 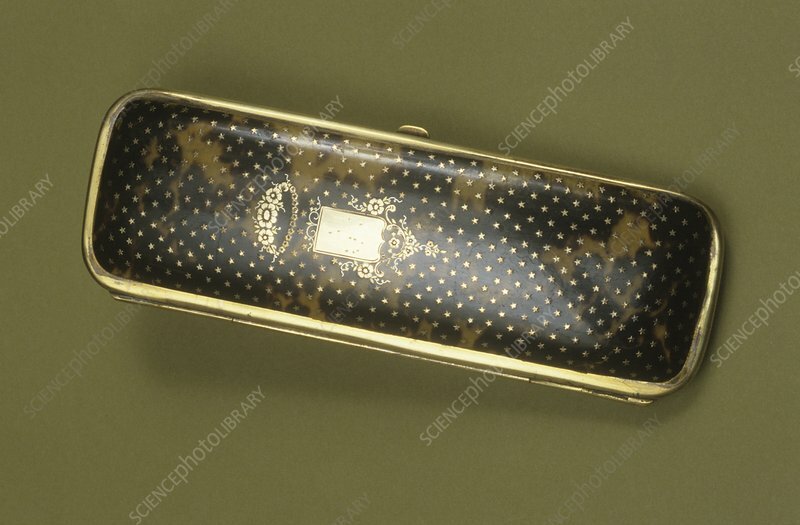 This spectacle case is Continental and dates from around 1830.